Sarno thanked the first lady for her donation and extended an invitation to her and the president to visit the city’s Amazing World of Dr. Seuss Museum. A grandnephew of Dr Seuss also criticised Soeiro. “I know one thing for sure — I never saw one ounce of racism in anything he said, or how he lived his life, or what his stories were about,” the Boston Herald quoted Ted Owens as saying. “When you have grinches and sneetches and all his other characters, how can you say that’s racist? His characters are based on made-up characters,” he added. 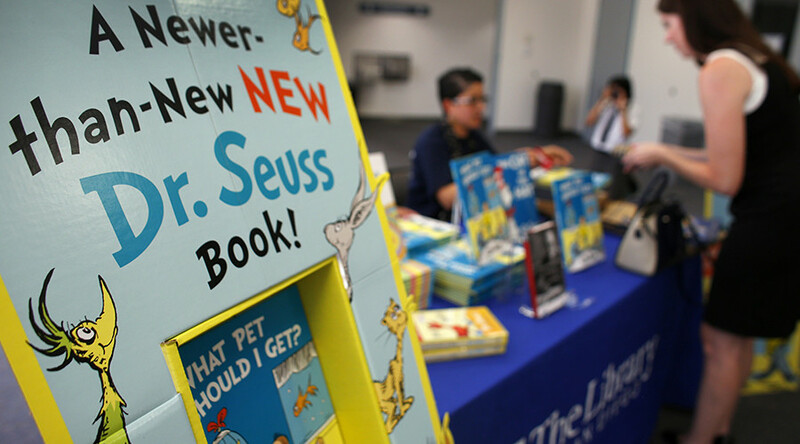 Dr Seuss, real name Theo­dor Seuss Geisel, was born and raised in Springfield and is the city's foremost son. He was a vocal anti-fascist critic during WWII, drawing cartoons warning of the threat posed by the Nazi regime before the Americans entered the war in 1942. He also drew anti-Japanese cartoons during WWII, which prompted some academics to call for a reassessment of some of his works. Suess later admitted he regretted doing this.